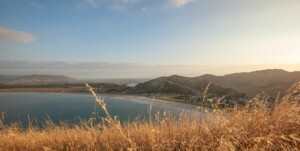 Well over half of visitors to Hawke’s Bay are our own friends and relatives, spending over two million ‘guest nights’ with us in our homes and sleep-outs each year, many of those in the summer. It’s the ‘curse’ of us living in such an enticing region. They come to visit us! And, as stunning as the view is, how often can we take them to the top of the Peak? Or the Aquarium? 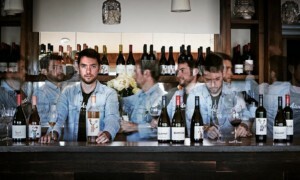 Hopefully this article will give you some alternatives you haven’t thought about for showing off Hawke’s Bay … and keeping the rellies – and yourself – entertained. Note that I’ve emphasized ‘yourself’ as well. I have a hunch that we locals don’t fully appreciate the huge variety of attractions, experiences and venues our own backyard offers. Some of these we’ve enjoyed, but then forgotten about. Some we might never quite get to because they’re off the beaten track and require a bit of a trek (we’re a big region). And, to be honest, there’re a lot of things to do and places to see that many of us never realized were here. So it occurred to me that a useful feature for this BayBuzz summer edition – for us locals and our visitors alike – might be a sort of bucket list of the less familiar attractions here in the Bay. And who better to ask for suggestions than some folks in our regional tourism business … people who excel at showing off Hawke’s Bay to the outsiders who come to visit our region each year. Katie Nimon, general manager of Nimon’s Transport. It’s her family’s business that moves more visitors than anyone around our region. What I like about Katie’s list is that she urges us to make a bit more effort to explore and expend some healthy energy – the walk to Sunrise Hut, out to Mohi Bush, exploring a farther out beach, Kairakau. Anna Baldwin, tourism coordinator for CHB. Anna’s list does a marvelous job of ‘selling’ Central Hawke’s Bay. But there’s one attraction in particular to note, because it’s temporary (concluding March 1st) – the Nga Taonga o Tamatea – Te Hokinga Mai exhibition at the CHB Settlers Museum in Waipawa. This is a unique exhibition, bringing home to CHB taonga that presently reside in museums and private collections around the country. Juliet Harbutt, proprietor of Hunter Gatherer Tours. Among other things, Juliet organises bespoke tours for visitors wanting to get up close to Hawke’s Bay artisan food producers and crafters. And she knows visitors like to shop, so she suggests So Vintage and Golly Gosh out on the Cape Coast. Louise Stobart, proprietor of Birdwoods Gallery & Sweet Shop. 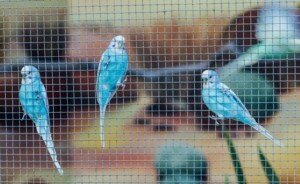 First of all, I must say, who would not take a visitor to Birdwoods?! But Louise suggests we venture farther out her road to the Patangata Tavern (and beyond that, the Mangarara Eco Farm). Or out to Clifton’s new Hygge Café. Or over to the Westshore Fish Café. Do you think she’s into food?! Hamish and Di Prins, proprietors of Prinsys Tours. Hamish and Di entertain a heap of cruise passengers, but also organise bespoke tours for those wanting to get a more intimate look at the Bay, whether that involves an on-farm visit or a more in-depth winery experience. Their list would take us to Te Puia hot springs, Shine Falls and the variety of DOC huts. Sandy Woodham, proprietor of Mahia’s Beach Café. Nothing better than a local guide, and by all accounts, Sandy knows Mahia best. Just go to her Beach Café and ask for pointers. She’ll direct you to places like Mahanga Beach and the Morere hot pools. Damon Harvey, chairman of Sport Hawke’s Bay. OK, Damon’s not officially in the tourism biz, but given his passion for sport, especially cycling and surfing, he does get around the Bay. So Damon wants us to walk or bike, not drive, to the Puketapu Pub, hike to Maraetotara Falls and Shine Falls, and check out the mountain biking park in Wairoa. Finally, I have a list of my own, prepared I will confirm, before reading these others. As it turns out, there’s some overlap – you’ll find Patangata Tavern, Shine Falls and Maraetotara Falls on several lists. If you head to Shine Falls, be sure to include a stop at the Guthrie-Smith Arboretum, a 90-hectare treasury of 20,000 species of trees, exotics from around the world and natives, with great hillside picnic spots overlooking Lake Tūtira. In search of a remote beach? Go a bit beyond Katie Nimon’s Kairakau Beach to even quieter Mangakuri Beach, about 35-40 minutes from the Red Bridge. 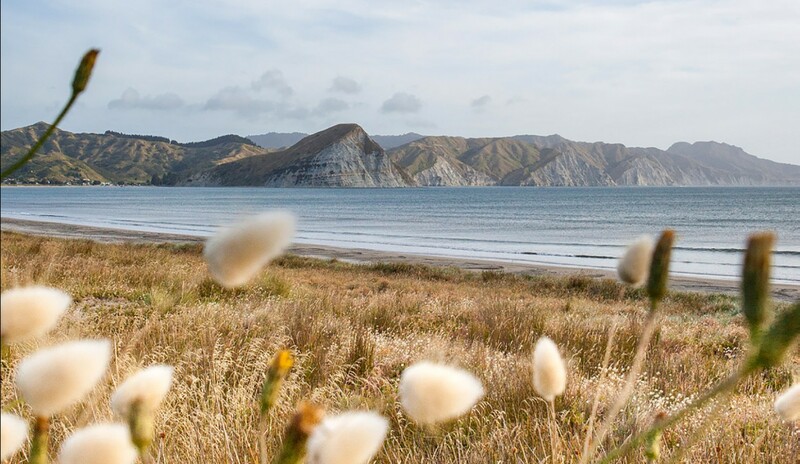 For the most immersive Māori cultural experience in Hawke’s Bay, touching family, spiritual, historical, landscape and ecological aspects, organise a visit to the Hakikino Conservation Reserve and surrounds through Waimarama Māori Tours. For great small winery outings at opposite sides of the Hastings District, visit Te Awanga Estate overlooking the ocean on the Cape Coast and de la terre winery & café out Taihape Road in the hills of Sherenden. Both serve you great wine, pizza and platters. Te Awanga adds occasional music on Sunday afternoons. And de la terre features the craft skills of Tony Pritchard, from rammed earth buildings to his hand-crafted furnishings and woodwork throughout. Mohaka Rafting. What can I add to Bridget’s terrific feature on p.42! And, finally, yes, you’ll undoubtedly go up to Te Mata Peak … again! Check out the complete lists that follow. Some of the recommendations will be familiar (but have you actually ‘been there, done that’? ), but I’m sure you will discover some nuggets you weren’t aware of. 1. Ruahine Forest Park, particularly the walk to Sunrise Hut. A magical place with so much history. Explore beyond the hut and you’ll find views across central North Island, that you couldn’t imagine. 2. GodsOwn Brewery is worth the drive or the transfer out there! The hospitality is second to none, not to mention the food and drink. I’ve even found myself jumping on the trampoline: you’re never too old! 3. Walking up to Kaweka J, via the Makahu Saddle, is like being on the set of The Lord of the Rings. Such an extreme landscape, made even more rewarding by the extreme incline. 4. Heading out to Kairakau Beach for a day or an afternoon, really feels like getting away. The beach is rugged but quiet enough to relax. Stopping in at the Patangata Tavern for some country hospitality makes a day of it. 5. Mohi Bush, a while past Maraetotara falls, is a childhood favourite; exploring the forest with my grandpa. It doesn’t seem so big now that I’m older, neither does the fairy cave next door at Wairunga Golf Course, but still just as enchanting. 1. 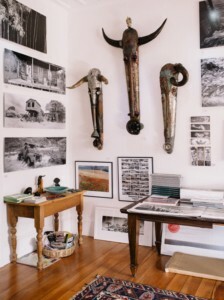 Artmosphere Gallery in Waipawa is the quirky, unique and fun creation of photographer Helmut Hirler and artist Sally Maguire, with a large collection of art in the beautifully restored ‘De Stackpoole’ homestead. Plus, they have created a picnic garden filled with sculpture and treasures. 2. Oruawharo Homestead is a majestic 1879 homestead set amongst beautiful gardens, brought back to life by Peter and Dianne Harris. Be amazed by the incredible art and antique collection and wowed by the sheer size of the house and gardens. Enjoy their High Tea of homemade delights (bookings essential). 4. Swing Bridge. You need to see this 100m long bridge to believe how cool it is, connecting walkers and cyclists with both sides of the Tukituki river on the fabulous limestone river pathways. 5. 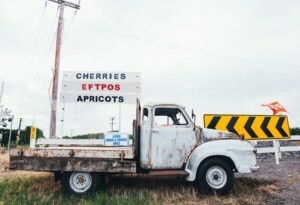 Limestone Loop is a tour locals have created offering an eclectic mix of food, art, wine and retail delights as you travel through beautiful countryside around Waipawa and Tikokino to SH50. My top stop would be Lime Rock Wines, where Rosie and Rodger will tempt you with beautiful tastings and wonderful stories about their winery. Meander the day through galleries, gardens, shops and art, and end your tour at the Tikokino Country Hotel for a cold beer and delicious food. 6. Pukeora Hill offers a magical view, looking over rolling farmland and the twists of the Tukituki River from the ranges to the coast. The wonderful ‘Forest of Memories’ creating a hillside covered in specimen trees and plantings with meandering walking tracks. And the mountain bike trail is also well worth a ride. 7. CHB Beaches. Pourerere Beach is a firm favourite for us, with safe swimming for little people in the lagoon, Te Angiangi Reserve to meet the underwater locals and kilometres of space. Our beaches offer quiet and isolation even in the height of summer … the hum of boats and people. 8. Backpaddock Lakes. 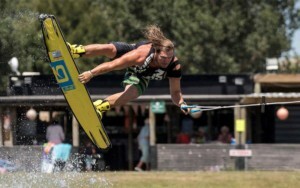 The purpose-built water and outdoor events venue features three manmade lakes including Cable Park Lake with two cable wakeboarding systems. You can also enjoy paddle boarding, kayaking, skiing, boating and sailing. 9. Longest Place Name is located just under an hour south of Waipukurau, where you will find Taumata-whakatāngi-hangakōauau-o-tamatea-turi-pukakapiki-maunga-horo-nuku-pōkai-whenua-kitanatahu, meaning “The place where Tamatea, the man with the big knees, who slid, climbed and swallowed mountains, known as ‘landeater’, played his flute to his loved one.” Locals simply call it Tamatea Hill. 10. 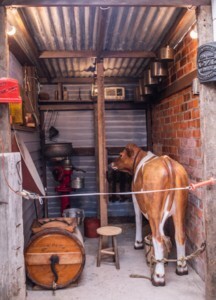 CHB Settlers Museum features the Nga Taonga o Tamatea – Te Hokinga Mai Exhibition running until 1 March, celebrating the homecoming of many taonga from the area. The exhibition is a first of its kind, bringing home taonga from MTG Hawke’s Bay in Napier, Te Papa Tongarewa in Wellington, and from private collections around the country, including a piupiu not seen in public since 1909. A once in a lifetime opportunity for CHB. 1. Māori Star Compass (Te kapehu whetū). Beautifully planted on the edge of the sea at the Waitangi Estuary. Best early in the morning or dusk. The Māori star compass divides the 360 degrees around a canoe in the open ocean into different whare (houses). The navigator had to learn where the sun, moon and stars would be in the sky in relation to the houses at different times of year. 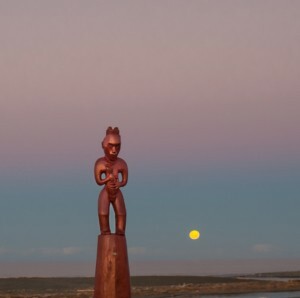 Māori Star Compass (Te kapehu whetū), Waitangi Estuary. Photo: Florence Charvin. 2. Black Barn Growers’ Market (Dec – Feb) hosts a small, intimate circle of artisan producers from wild flowers to whitebait fritters. The perfect place to meet friends. A little patch of HB magic. 3. Sweet Shop at Birdwoods. Have you tried the sweet shop … every child’s dream, from age 2 – 82. Shelf upon shelf covered with bright, colourful, round, stripped, spotted and sticky treats. Some rarely found anywhere else. 4. Red Bridge Café. A converted container that has sailed the world ends up as a tiny café along the Tukituki, a hub for visitors from around the world? Everyone comes here for the ambiance, the charm, the doughnuts and coffee. 5. Hastings City Gallery. 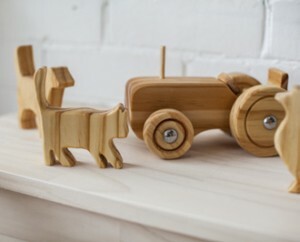 Small, quirky but never disappoints and their gift shop has simple, elegant pieces of local art available for sale. From Ema Scott’s timeless polished stones to the artistic, beeswax bags. Plus the pou in the gardens outside remind us of the strong Māori presence in the Bay. 6. Black Barn Kitchen Shop. It doesn’t seem possible that so much can be crammed into such a small space and yet there’s plenty of room to browse. From local food and wine to exotic picnic rugs, woven bags for the market and raincoat just in case. 7. Hohepa. Hohepa Trust combines biodynamic land-use with providing a home and way of life for those with intellectual disability. Haumoana location offers freshly picked vegetables and exceptional cheese and dairy products. At new Hohepa Creative Works in Napier, Hohepa residents create the candles, hand woven clothing, and wooden toys they sell there. 8. So Vintage Shop (Te Awanga). Owned by Mehdi from France and Korreen, a Kiwi whose love of French brocantes, sort of giant car boot sales meets flea markets with pizzazz, brought them together. There’s always something that takes your fancy, from small antique French bottles to huge vintage industrial lamps. 9. Golly Gosh Shop (Te Awanga). Mother Sophie’s artistic flair and love of flowers, son Mark’s photographic skills and his wife Suzy’s design experience has resulted in a range of stunning, elegant and unique cards, bags, wrapping paper and tee shirts featuring flowers as everything from teapots to fairies! 10. Winston’s Favourite Walk. Winston, my Jack Russell, loves the track from the far end of the Clive carpark (south side of the river bridge), walking toward Haumoana. Set back from the coast it’s flat, not too windy, has dramatic views of Cape Kidnappers and the wetlands team with bird life. 1. MTG. Having lived here for 15 years and NEVER been, we finally went recently and we found the whole experience so enjoyable. 2. Go to the award-winning Westshore Fish Cafe. Take the warm bag of oily goodness to sit on the grass on the opposite side of the harbour to watch the action. 3. Patangata Pub where Middle Road meets the Tukituki. Go on a Saturday afternoon and hang out with the bikers to eat honest pub food and drink a cold beer! 4. Mangarara Eco Farm. Book in with friends at Rachel and Greg Hart’s lovely rustic farm lodge, only 30 minutes from Havelock North near Horseshoe Lake down Middle Road. Learn about sustainable farming. 5. 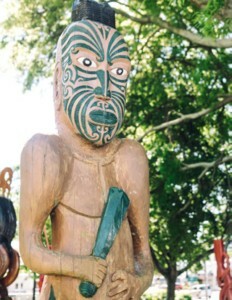 Tainui Reserve. Take your dogs off lead, and enjoy the 40-minute loop around the reserve amidst some lovely old trees in the heart of Havelock North. The dogs can have a swim in the stream on the way back. 6. The Mart in Havelock North. Visit Rod and Donna’s real gem of a second hand shop. Go quickly because rumour has it they might close. 7. Kirsten’s Cherries. Summer has truly arrived when the delightful Kirsten opens her stall at the corner of Longlands Road and Railway Road by the train crossing, selling the most tasty of cherries and stone fruit. Follow the trail of pips down the road! 8. Hygge Café. This is the former Clifton Café near Cape Kidnappers. Take a fresh look … it has had a great new makeover. 9. Artmosphere Gallery – a lovely gallery near Waipawa with lots of New Zealand artists represented to suit all tastes and budgets. Then carry on and enjoy the delights of Waipawa which appears to be booming! 10. Birdwoods Sweet Shop. 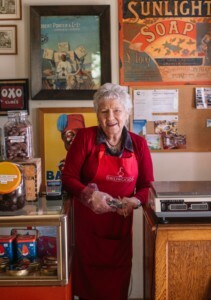 Finally, how could I not suggest you visit and enjoy Lorraine (our oldest serving Sweet Shop Granny) and the delicious home-made decadent truffles. 1. Te Puia hot springs. Enjoy an amazing drive through Hawke’s Bay countryside to Puketitiri and experience the thermal hot water pool amongst the NZ native bush of the Kaweka Ranges. 2. Shine Falls is a 45 minute walk among the rocky farmland west of Lake Tūtira along SH 2. Spectacular water falls where you can enjoy a picnic and swim in the crystal clean fresh water. 3. 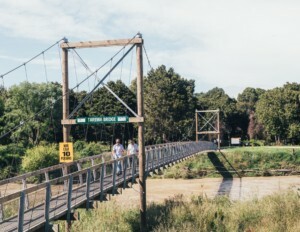 The Taradale to Puketapu scenic cycle route along the bank of the Tutaekuri River. Take time at the half way point to enjoy an ice-cream or coffee at the store or a beer at the one of Hawke’s Bay favourite country pubs, The Puketapu Hotel. 4. DOC Huts. 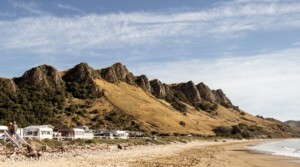 Take a family walk to one of the many Hawke’s Bay DOC huts as a day trip or an overnight stay. Many walks among the bush-clad hills of the Kaweka and Ruahine Ranges that will suit all levels of fitness. 5. Napier Botanical Gardens. Explore this beautiful urban oasis, a small walk up Napier Hill from the city centre. 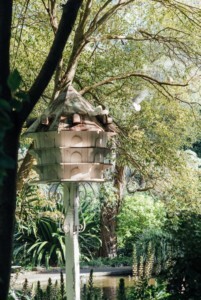 A great place for children and adults to relax amongst the plant and bird life. 6. Art Deco Walks offer a terrific way to learn the history of Napier city. Move back in time as one of their guides explains how Napier was rebuilt in art deco style following the devastating earthquake in 1931. 1. The Beach Café – of course visitors must start at our licensed café, offering mouth-watering pizzas, our popular burgers, and our well known fresh fish and chips. A great place to enjoy the buzz. 2. Mokotahi Hill. For a great walk and to see great views. 3. Mahia Holiday Park. Right on the beach. Very family-friendly cabins, motel and tent sites. Plus an extra bonus with a café for the early morning coffee. 4. Mahia Seaside Markets. 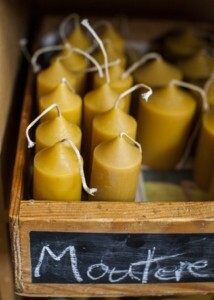 Enjoy our local produce and arts and crafts. Running 9am to noon every Sunday from December to March. 5. Mahia Golf Club. nine-hole course provides a challenge for any golfer. 6. Mahanga Beach. A short drive from Mahia. Lovely sandy beach great for kids, surfcasting, gathering pipis and popular for boggie boarding. 7. Coronation Reserve. Just south of the boat ramp at Whangawehi. A popular spot for daytrippers for swimming, diving and exploring the rock pools. 8. Morere Hot Pools. A great place to relax and enjoy the mineral pools along with a large outdoor pool. And for the keen walkers, there are 3 walking tracks from 20 min loop walk to a 2.5 hour walk that is more of a challenge. 9. Surfing. Great well-known and popular surfing areas. Ask a local to point you. 1. Cray Bay, a walk around the bays south of Waimārama is a great walk at low tide either for a swim or to explore, dive or surf. 2. Havelock North Walkways. Take time to explore the many little walkways around the foothills of Havelock North. 3. Fish ‘n’ Chips on the Beach. Grab some kai from the fish ‘n’ chip shop at the Haumoana junction and head to Te Awanga to watch the surfers. 4. Bike in Waipukurau. Get started at Russell Park along the river and head toward the mountain bike park. An easy ride for young and old. Either cross over the swing bridge and head back to town or go up into the mtb park. Pou at Hastings Civic Square. Photo: Florence Charvin. 5. Visit the new MTB Park in Wairoa – this is a great little park for all levels of riding. 6. Craft Beer Tour of the Bay. 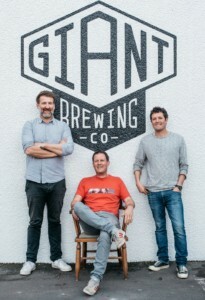 HB has a great range of craft brewers and you can now take your own little tour – Zeelandt, Westshore Hotel, Roosters, Abbey Cellars, GodsOwn, Brave and Giant. 7. Puketapu Pub. Walk or bike from Pettigrew Green Arena for lunch at the pub. Follow the river along and stop for a bite to eat before crossing over the river and heading back to the Arena carpark. 8. Maraetotara Falls. It’s not a secret and will be on everyone’s list. But it’s a must! 9. Shine Falls – take the kids for a short walk to Shine Falls before everyone else reads these BayBuzz suggestions! 10. Visit Hastings Civic Square and take a look at the 18 pou representing all Marae in the district. Also check out what’s on display at the Hastings Art Gallery.